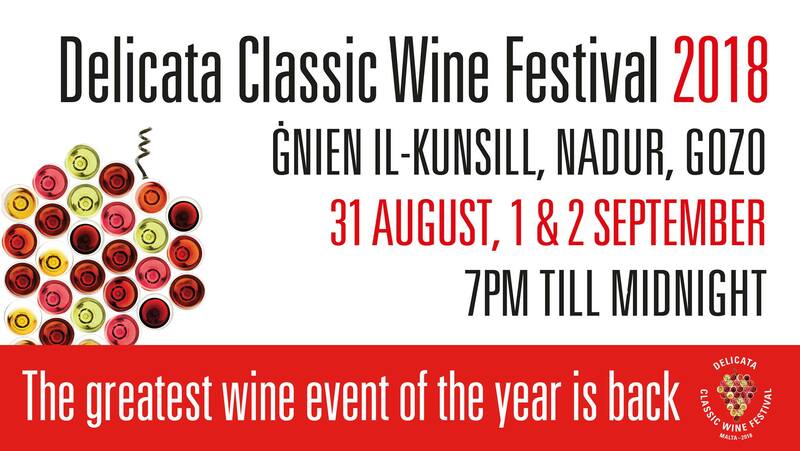 Organised by Emmanuel Delicata Winemaker in collaboration with the Nadur Local Council, the Delicata Classic Wine Festival in Nadur, Gozo is back for its 16th Consecutive year for 3 nights between the 31st August and the 2nd September. Each night the Festival will start at 7pm and run until midnight. 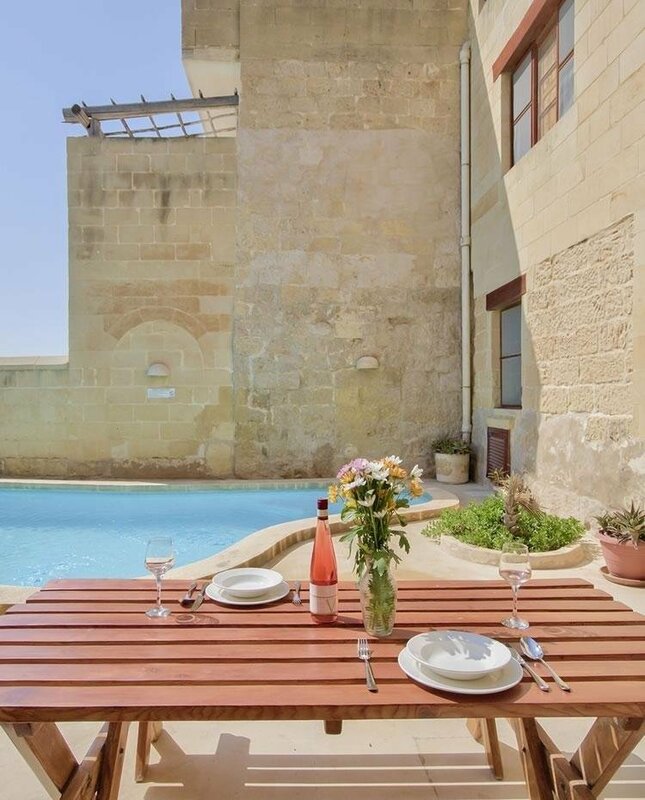 Gozo’s biggest Wine Festival is held in Nadur’s scenic garden Ġnien il-Kunsill with the spectacular panoramic country and sea views of the valley leading down to Mġarr harbour taking in the islands of Comino and Malta. A coin system will once again be adopted whereby patrons will be able to purchase a purse of 24 wine coins redeemable for their wines of choice. In all, there will be over 20 wines to sample. Vintages of ten Delicata award-winning brands are served from as many stalls spread along the garden’s periphery. These include the semi-sparkling Frizzantes made from the very rare native old bush vines Girgentina and Ġellewża, a selection of white, red and rosé D.O.K. Malta Medina, noble mono-varietals of the iconic flagship Gran Cavalier selection and Malta’s most internationally awarded Grand Vin de Hauteville range. Gozo’s very own Victoria Heights range of award-winning boutique wines will also be on show. Besides the sweeter lifestyle Dolcino, the exiting, low-alcohol Spritzzer range and exclusive The Falcon wines, the popular lush Casella Moscato and other varietals of the Classic Collection will also be available for tasting. The three wines from the Pjazza Reġina range, crafted in tribute to Valletta, will also be on show to taste. Live cooking stalls will be serving a tempting variety of both traditional Maltese, Gozitan and international dishes to tease a wide range of palates. Gigs from Malta and Gozo’s leading bands will surely please the crowds.